While Banga was at Rice, the Internet became a fast-growing phenomenon and surfaced a number of critical gaps between the demands of unpredictable Internet traffic and the capabilities of systems software and network protocols. This became Banga’s area of research. “The Internet was the new supercomputer,” as he put it. In four years, he published nine papers about his research at top systems conferences including four that won best paper awards. Many elements of Banga’s Ph.D. research were quickly incorporated within commercial products. Banga dove into an industry at its peak. Between 1998 and 2000, the technology industry was experiencing a boom and he felt invigorated by the fast pace of innovation and unlimited possibilities to do interesting work. He noticed an increasing number of business professionals were using a smartphone—a combo device that combined a mobile phone with a hand-held computer called a PDAs (personal digital assistant), and he began working on software to make the devices more useful. “My first serious computer was a mainframe. It was mind blowing to think you could have a powerful Internet-connected computer in your pocket. When I first saw a PalmPilot phone called the Samsung I300, and I started using it, I began thinking of the amazing possibilities of applications that would make the everyday smartphone experience so much better,” said Banga, who started a company to deliver those applications. Within two years, PDAapps, Inc. had published popular apps like VeriChat which became the world’s most popular mobile instant messaging app in 2005. Banga’s company was acquired by Intellisync Corporation, and he directed the mobile software product division of the new organization. 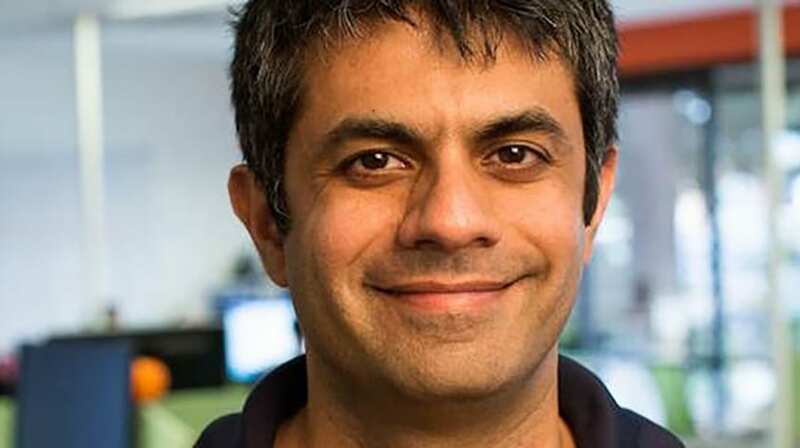 When Intellisync was sold to Nokia the following year, Banga looked for his next challenge. “I was intrigued by science and art of executing successful turnarounds (think Apple and Steve Jobs) and accepted the role of CTO for Phoenix Technologies Ltd in 2006. We were developing core software for personal computers, such as booting up your PC. At that time, the publicly traded company was in dire straits – both technically and financially. Reflecting on his different industry experiences, he decided that he preferred spending his energy on innovation, building and working with motivated teams to create new solutions, while aligned with investors with similar goals. At NetApp in the 1990s, Banga had offered to take on cybersecurity oversight responsibilities for the company’s products. A decade later, some of Phoenix Technologies’ customers began asking for assistance in building very secure personal computers. “Then sophisticated cyber-attacks began, like the 2009 attack on Google that resulted in the theft of intellectual property. Dozens of other companies — in industries ranging from security to chemicals– were also targeted in that attack,” he said. Banga uses a medical analogy to describe the problem with very difficult-to-detect malware and overlapping sources of infection. He said, “A doctor treats and even operates on sick patients who are likely carrying unknown illnesses. The doctor has to treat the patient, so they put on gloves to limit the spread of infection. It’s impossible to avoid the unknowns and still do their job, so they limit their exposure with gloves. Banga’s company Bromium developed a type of “digital glove” for computers, to prevent computer from getting infected and to avoid infections spreading from one computer to another. Without realizing it, Bromium users automatically don a glove in the form of a virtual machine to browse a website, shed the glove as they leave the website, and pull on another protective glove to check their email or browse another website. The gloves are actually thousands of virtual disposable computers, used to secure computers systems at scale. But as Bromium’s success grew, Banga was discovering additional cybersecurity challenges. “It was becoming increasingly clear that major security problems don’t occur just at the user’s laptop or desktop. My customers – CISOs of the Fortune 500 and government agencies were telling me that there were so many new problems they had to worry about, like protecting cloud and data center servers, network infrastructure, industrial controllers, IOTs, unmanaged devices, and their supply chain. They struggled to determine the areas of greatest risk, and what to focus on. By 2015, the attack surface of organizations was exploding. Balbix is based on deep learning and a host of innovative machine learning algorithms. He attributes some of his determination to secure cyberspace to his Rice experience. Banga said working in Rice’s environment of world-class research gave him tools and confidence to successfully work on world-class problems. Gaurav Banga completed his Ph.D. in Computer Science in 1999 under the advisement of Peter Druschel.